A look at the life and works of John Dos Passos , one of the greatest writers of the 20th century. 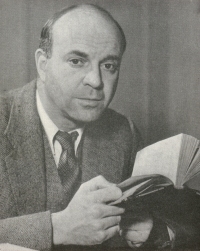 John Dos Passos was born in 1896 in Chicago, the love child of a widow and an important corporation lawyer, whose estranged Catholic wife had rejected divorce. His mother took her son abroad to Belgium, where they remained until 1901. He was then looked after by his father who adopted him as a stepson. He attended Harvard University from August 1917 until summer 1918, when he was sent back to the States because of his anti-militarist views. He was an ambulance driver in the war, first in France, then in Italy but was sent back to the USA, again for his anti-militarist views. The war confirmed his radicalism and antimilitarism and led him to attend several anarchist meetings in New York in 1917, one of which was addressed by Emma Goldman. John felt very close to the revolutionary union the Industrial Workers of the World (IWW) – nicknamed the Wobblies. In 1922 Dos Passos published a collection of essays, ‘Rosinante to the Road Again‘, about his travels in Spain in 1916. This fine book, often overlooked, attempts to tackle the character of the Spanish people and the libertarian currents within Spanish society are touched upon several times. Speaking of the novelist Pio Baroja, close to the anarchist movement, he seems in many ways to be talking about his own subsequent career. “The anarchism of Pío Baroja is of another sort. He says in one of his books that the only part a man of the middle classes can play in the reorganization of society is destructive. He has not undergone the discipline, which can only come from common slavery in the industrial machine, necessary for a builder. His slavery has been an isolated slavery which has unfitted him forever from becoming truly part of a community. He can use the vast power of knowledge which training has given him only in one way. His great mission is to put the acid test to existing institutions, and to strip the veils off them. I don’t want to imply that Baroja writes with his social conscience. He is too much of a novelist for that, too deeply interested in people as such. But it is certain that a profound sense of the evil of existing institutions lies behind every page he has written, and that occasionally, only occasionally, he allows himself to hope that something better may come out of the turmoil of our age of transition.” Whilst he was travelling through Spain he met another young Spaniard with radical ideas, Jose Robles, a student at Madrid University whom he maintained a lifelong friendship with. When the Communist Party was first set up in America, he saw it as a continuation of the IWW, which had by now been battered down by the American state. However, as he later remarked in 1935, he started having misgivings about the Soviet Union with the suppression of the Kronstadt Revolt, the banning of the Social Revolutionaries, the abolition of the factory committees, the massacres of Bela Kun in the Crimea, the New Economic Policy, etc. Dos Passos first established a literary reputation with his well-received novel ‘Manhattan Transfer’ (1925). Here, he first started using the collage techniques he perfected with his later trilogy USA. Interior monologues jostle with snatches from songs and excerpts from newspaper articles. Manhattan Transfer is not so much about the central characters like Jimmy Herf, who are somehow incidental, than about New York itself and its predominant characteristics of corruption, alienation, conformity and materialism. It was a brilliant novel, only to be excelled by his forthcoming trilogy. He also wrote powerful plays like ‘The Garbage Man’ , ‘Airways’ and ‘Fortune Heights‘. Dos Passos also wrote for the left wing press, such as for the paper ‘the New Masses‘. John became involved, with other intellectuals, writers and artists in the campaign in 1927 around the Italian-American anarchists Nicola Sacco and Bartolomeo Vanzetti, charged with murder in a robbery in South Braintree, Massachusetts. On the basis of circumstantial and often conflicting evidence, they were found guilty of being accomplices in a robbery and murder. From this he went on to wrote the pamphlet ‘Facing the Chair’ which argued their case that year. As he said later: “I had great sympathy for the Anarchist movement at the time”. He was also to say that “In Boston the work of the Defence Committee was hampered by continual patient efforts of the American C.P. to take charge of the agitation.” The fact that Sacco and Vanzetti were sentenced to death and executed was a sign of the utter moral corruption of U.S. Society and he later spewed out his anger against their execution in his trilogy USA. He was one of those arrested in the demonstrations on the day of the executions. He began writing the first novel of the USA trilogy in 1927-The 42nd Parallel. One of the main characters is a member of the IWW, Fenian McCreary, who we last read of in Mexico mixing with local anarchists (McCreary was based on the real-life Wobbly Gladwyn Bland, a tall muscular migrant worker, whom Dos Passos had met on a stay in Mexico). It is interspersed with biographies like that of Edison, and “newsreels”, extracts from speeches and snatches from popular song. It evoked the turmoil of the United States in the early twentieth century and all of its conflicts. It is the most uplifting of the three novels of USA, and a radical optimism pervades it. However one senses the breaking of a revolutionary wave by its end, with the bowing out of McCreary, who does not re-appear in the subsequent novels. Dos Passos followed it with two more outstanding novels, ‘1919’ and ‘The Big Money‘. In 1938 they were be published together in a trilogy, U.S.A., which received widespread acclaim. Again the techniques first developed in Manhattan Transfer were employed. However, by now Dos Passos was moving away from a radical position, and his doubts about the Communist Party began to accrue. The last straw for him were the events that unfolded with the Spanish Civil War. Dos Passos supported the Republic against the forces of Franco and visited Spain to lend his support, as did Ernest Hemingway and others. He discovered that his old friend Jose Robles, who had taken the side of the Republic had “disappeared”; executed by the secret police under the control of the Soviets and their agents in Spain. He was disgusted by the behaviour of Hemingway, who gullibly swallowed all the lies that his Communist friends dished out. He was revolted by the repression that began against the anarchists and the independent Marxist party, the POUM. Whereas before the Communists had written favourably of Dos Passos, they now began to attack him in their press. They began to sing the praises of Hemingway, a lesser writer, who had a far poorer grasp of politics than Dos Passos. Hemingway acted like a performing seal by his attendance at the Writers Congress, a Communist front, and his dutiful serving on sixteen C.P. controlled committees. The novelist Mike Gold (who incidentally had started out as a committed anarchist in New York before later joining the Party) lambasted Dos Passos in the Communist Party paper The Daily Worker, revising his early opinions of Dos Passos’ works. He had earlier praised Dos Passos, he claimed, because he was “going somewhere” and because “we recognized in him a powerful if bewildered talent”. Now, re-reading the trilogy Gold in classic hatchet-man style felt that it was imbued with disgust for the world and the human race. Dos Passos’s trajectory moved further and further to the right, as he developed a politics based on Jeffersonian democracy, and gave up all hope of any real social change driven by the masses. It sounds pat and glib to say that his rightward turn resulted in a weakening of style, but that is the case, accepted by many, as his novels became more and more clichéd starting with ‘The Adventures of a Young Man’ (1939) and ‘Number One’ (1943) and ending with the tawdry ‘MidCentury’ and ‘Century’s Ebb’ by which time Dos Passos had embraced the right of the Republican Party. The tragedy of Dos Passos was that he had not been strong enough to resist the tumult of the twentieth century. He was never prepared to commit himself completely to a movement, and his justified disgust at the manipulations of the Communist Party had not led him to return to his old political friends – the anarchist movement and the IWW, both then spent forces in America, but to embark on a journey that ended with his seeking of allies amongst people he had earlier despised. Others avidly joined the Communist Party or became its fellow-travellers, dutifully turning a blind eye to Stalin’s terror, whilst he took the option of embracing the enemy he had so much hated in his earlier years. A once great talent that had produced some of the finest works of literature had flickered out. As Stephen Koch comments in his ‘The Breaking Point‘: “ …almost all the genuinely great writing in Dos Passos- and there’s a lot of it – rides on the surge of an esthetic and social radicalism that in the early twentieth century became as momentous as the Romantic Movement had been a hundred years before … The driving force behind his life as an artist, the dazzling medium that had once lifted his talent into genius and inspired a generation of radical artists around the world, had been maybe fatally wounded … Somehow the great modernism of Manhattan Transfer and U.S.A. had died in Valencia. The bullet that murdered Jose Robles had also shot down the soul of his art”. 1935. Thats sometime for misgivings to raise. It should be pointed out he did write regularly for the Daily Worker and was not merely a party hack. Dos Passos first established a literary reputation with his well-received novel ‘Manhattan Transfer’ (1925). He'd written Three Soldiers in 1921 to critical acclaim. some weird repetition in the first paragraph. Just finished reading USA - amazing. Didn't really understand the context or anything about Passos and his retreat from revolutionary politics, which seems to be prefigured in the trilogy's trajectory from radical optimism to a kind of cynical acknowlegment of the increasingly corrupting encroachment of big business into political, social and personal life. Recommended reading. Tbf I'm not sure how radical it was to begin with, if the only two choices were for him between Stalinism and Conservatism. the love child of an important corporation lawyer and a widow, whose estranged Catholic wife had rejected divorce. as it implies that Dos Passos' mother was married to an estranged Catholic wife who had rejected divorce. Also there are a couple of typos that I've lost track of right now (nothing too distracting though). Yes of course he wrote The Three Soldiers before Manhattan TRansfer which I've read but it was really Manhattan Transfer that confirmed his reputation in my opinion. Are any of his books in the library? The Breaking Point by Stephen Koch takes a neo-con view of the split between Hemingway and Dos Passos and is also marred by its breathless gossipy style. Even so, I concur with his evaluation of Dos Passos as a novelist; he declined rapidly after his return from Spain when he abandoned the avant-garde prose style that characterized his earlier works for straight forward pedestrian exposition.